Pictured: The face anyone would make while watching Aaron Gordon try to play small forward. 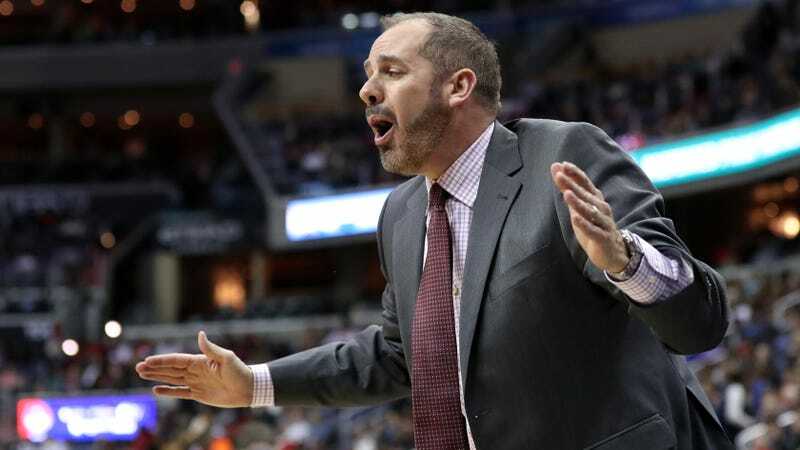 The Orlando Magic have fired head coach Frank Vogel, according to a report by ESPN’s Adrian Wojnarowski. Vogel coached the incoherent and hopeless but nonetheless consistently hilarious roster of the NBA’s least existent franchise for two seasons, both of which were real and actually happened, compiling a 54-110 record along the way. Attempting to evaluate his performance in that job would be absurd and impossible, like grading how well somebody cooked a poop soufflé. Whatever he did to get sentenced to the Magic, Vogel must now have atoned for it sufficiently. He is free to pursue any other job on earth. Orlando’s next head coach will be the team’s fifth in six years. Pending whatever smattering of aimless and incomprehensible offseason moves the team makes in the months ahead, in accordance with the strategy that has characterized pretty much every Magic offseason and trade deadline since the organization paired 22-year-old Tracy McGrady with Darrell Armstrong and Horace Grant back in 2001, the next sweaty doofus to stagger into the Orlando job all but certainly will inherit a roster devoid of reasons for optimism. There will be some tall young guys who only vaguely know what they’re doing, and the requisite dozen aging, glassy-eyed, mercenary oafs filling out the rest. Good luck to that poor sucker. I look forward to imagining the expression on his face when the front office decides to sign Derrick Favors, Ed Davis, and Greg Monroe this summer and he realizes that one of them will have to be his shooting guard.